SE Clinton St shop Xtabay holds racks of vintage finds, including a treasure trove of winter coats and party dresses. Here are six must have items on shelves now. 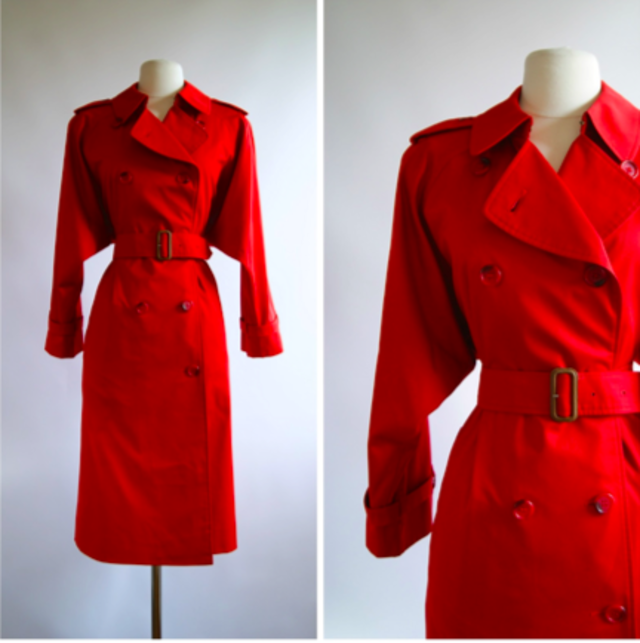 "Vintage fire engine red Burberry’s trench coat, a time tested wardrobe staple. Never out of style and 100% practical in Oregon. The bright red makes it especially fun for the Holiday season." 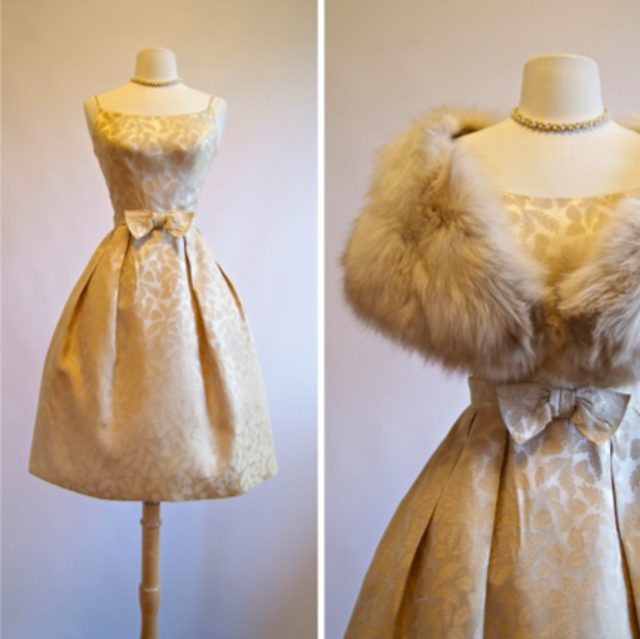 "The perfect 1950’s holiday party dress! 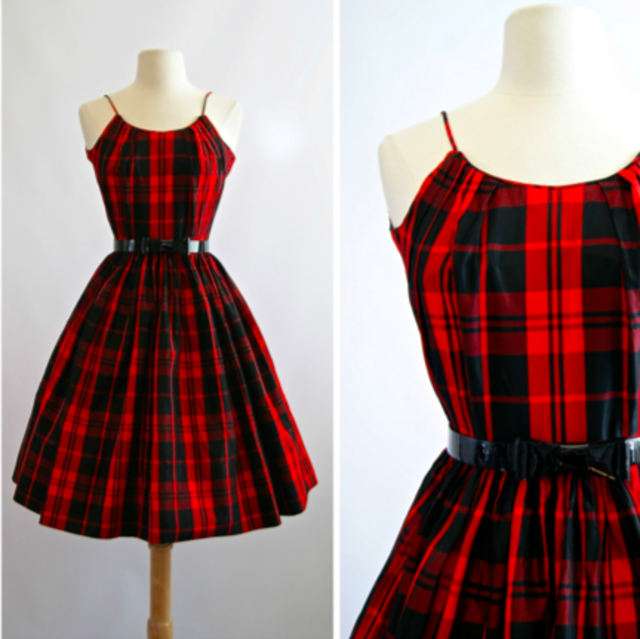 I love plaid and this little taffeta interpretation is festive and flirty! A sure­-fire way to be the cutest at the office party." "In my book, leopard is a neutral. 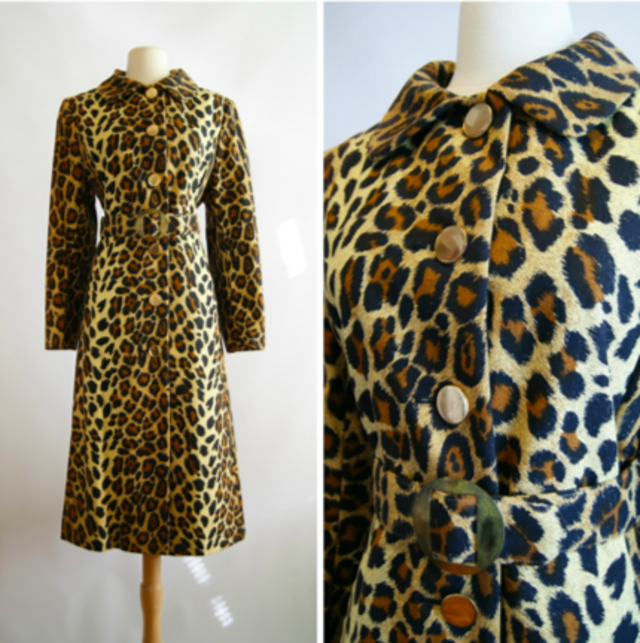 This fabulous 1960’s leopard raincoat from Saks Fifth Avenue is one of my favorites in the shop right now. It is the coat that will get you the most compliments, I'll guarantee it." "OMG. 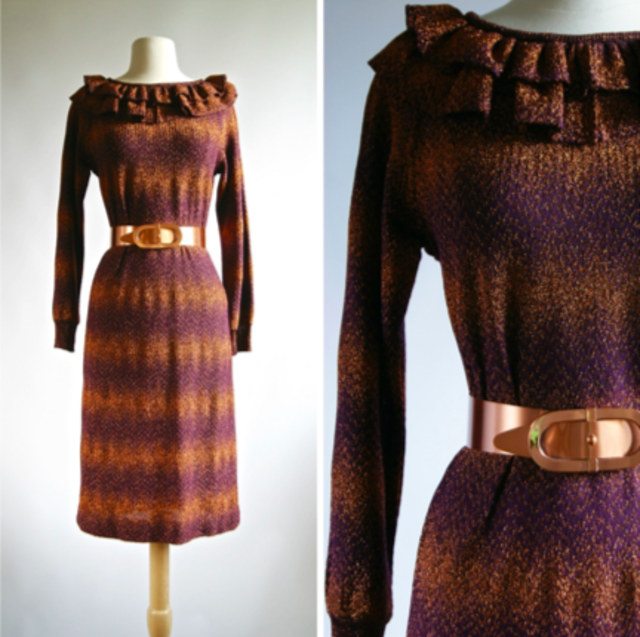 This 1970’s Missoni knit dress paired with a 1950’s copper belt by Renoir was one of my favorite looks this fall. 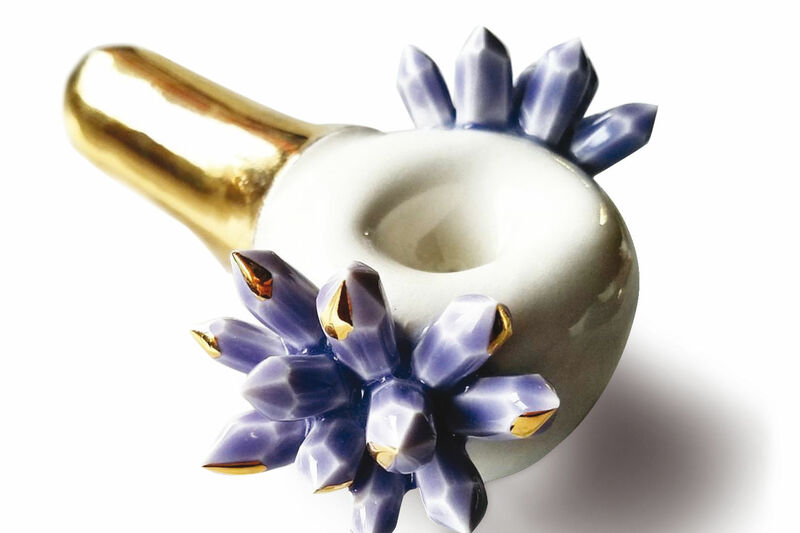 It spent a day or two in the shop window before a very chic out-of-towner came in and snatched it all up. Vintage, yet modern and chic and...sold." 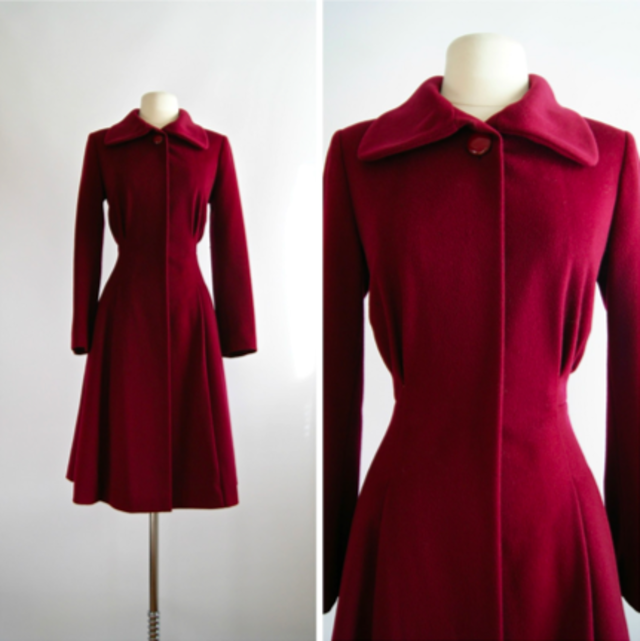 "1970’s Chloe wool princess coat in Merlot. This coat caused a firestorm when I posted a picture of it on instagram. 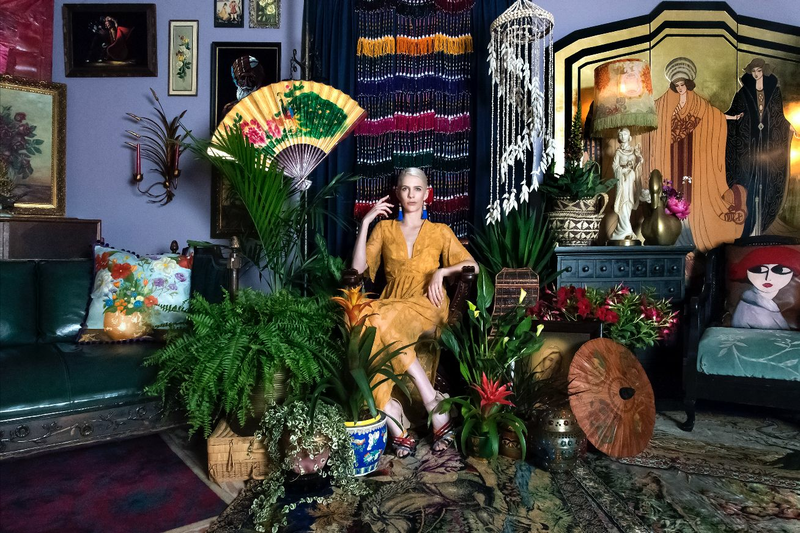 By the way, you should really follow us on instagram :) #soldinseconds"
"I love this early 1960’s gold brocade party dress with falling leaves print. Paired with pearls and one of our fur wraps it is so lovely. The perfect things again to wear to a holiday party, winter wedding, or charity function."